For SilverFast 8.5, the JobManager has been completely redesigned. The JobManager is a valuable SilverFast tool* for efficient batch processing. 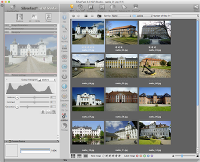 In this case, batch processing means multiple scan frames are scanned automatically in sequence; a useful functionality, when multiple photos, slides or negatives are placed on a scanner's flatbed. 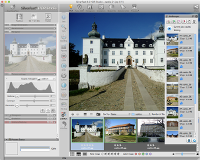 In SilverFast HDR, the JobManager is even more effective. 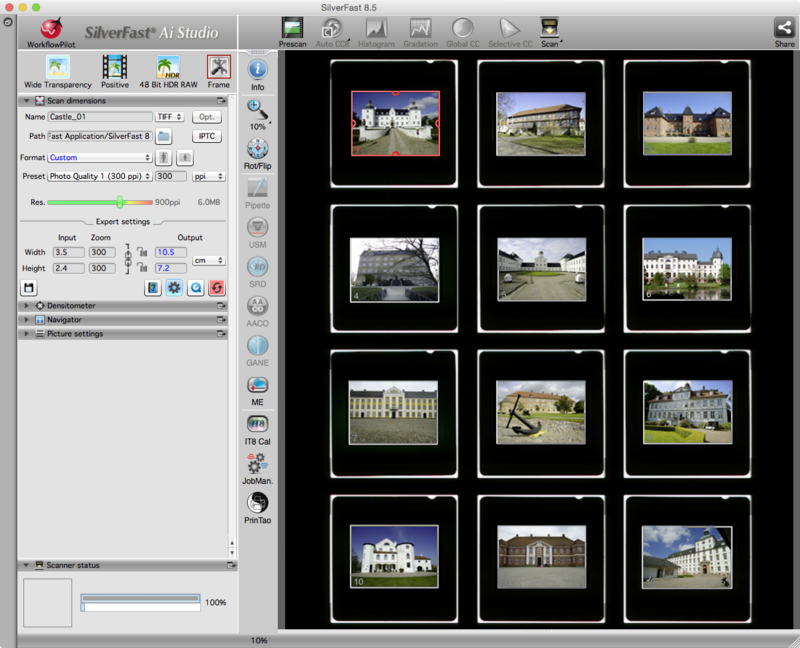 Any number of previously scanned RAW image files can be optimized in batch mode automatically one after the other. 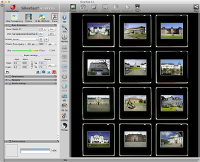 Using scanner software SilverFast Ai Studio 8, the JobManager functionality allows to scan multiple images automatically from a scanner's flatbed. Therefore, an individual scan frame is created for each image, corresponding to a job in the JobManager. 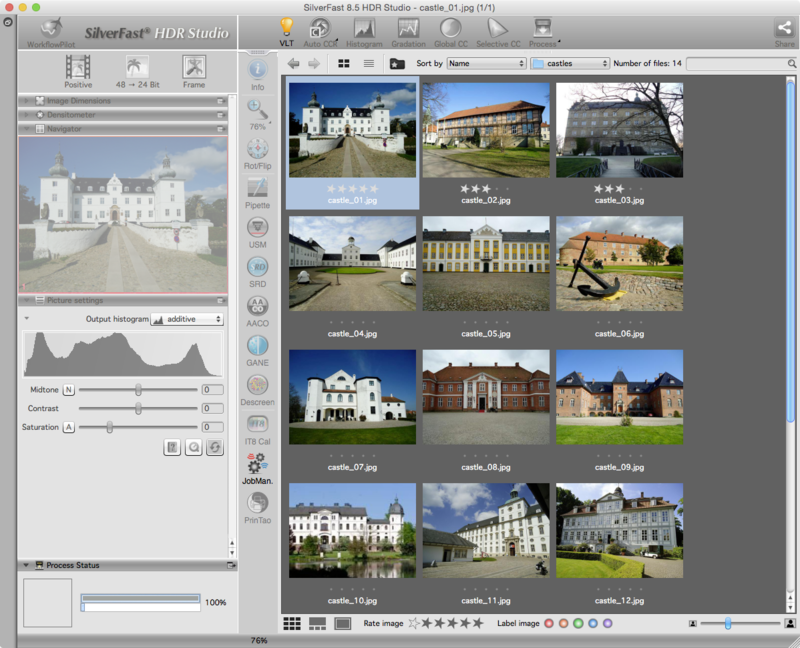 For later image optimization and processing RAW data scans are archived on the hard disk using DNG or SilverFast's own HDR(i) format. This is a quick and efficient task. Alternatively, the images can also be optimized right away with the scanning. Again, the JobManager is a good help, tool adjustments for image optimization can be copied to other images. 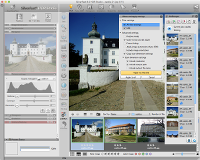 As part of the SilverFast archiving workflow, the JobManager is also useful for the HDR image processing. 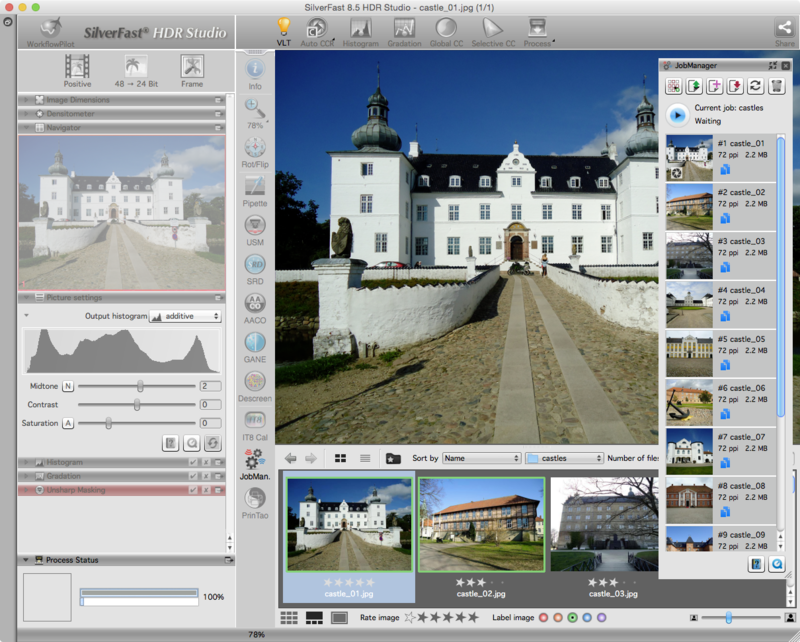 Scanner RAW data files, which have been archived with SilverFast, are easily loaded to the Virtual Light Table VLT of SilverFast HDR (Studio) 8 image processing software. Selected images are moved to the JobManager, tools for image optimization are set and optionally copied to a multitude of images. Finally, the JobManager executes every single job in sequence. With version 8.5 and later, it is even possible to setup multiple jobs in parallel and to automatically process them one after another. For scanning or processing large image files in SilverFast 8, the JobMonitor App will comfortably display the progress of these scans or image optimization jobs on your iPhone, iPad or iPod. You will find a preview image and a progress bar for every single image item enlisted on your current job queue. 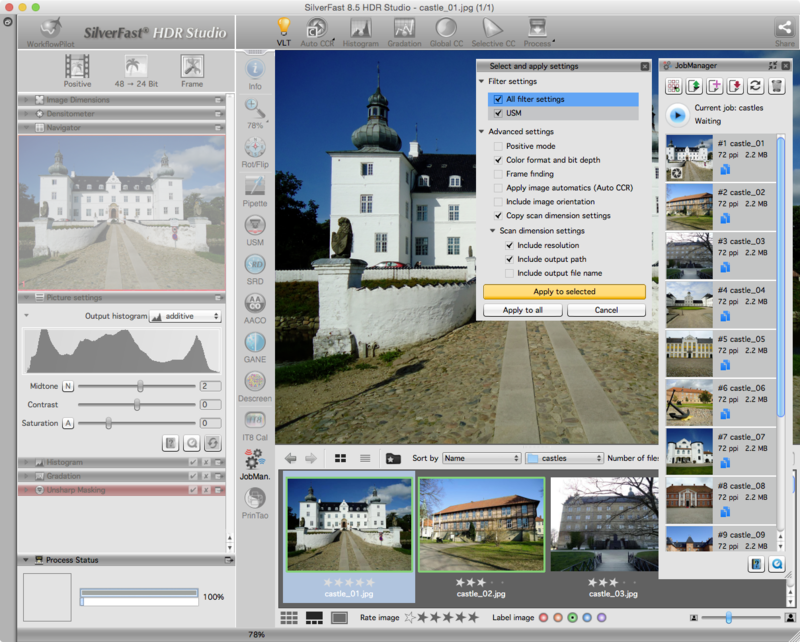 * Note: The JobManager functionality is included with SilverFast Ai Studio 8, SilverFast HDR 8 and SilverFast HDR Studio 8.